Congratulations to CoolBus!!! He won the Amazon Gift Certificate Random Draw. Your $50.00 gift card has been emailed… Thanks everyone for your overwhelming support! I have a few more surprises in store in the weeks to come… Stay tuned!!! Congratulations to Jan R-B!!! She is the winner of the Delta Blues Book Giveaway. Jan is also known as @LOLAsFeedAnFuel on twitter… Thanks to everyone who entered the draw. 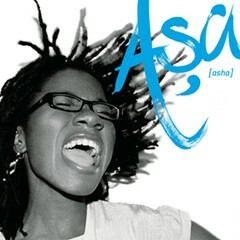 Thanks to everyone who entered… Asa’s latest release on Mercer Street Records is a wonderful album. I look forward to hearing more from this incredibly gifted artist in the future.